As Europe and the wider world come to terms with the outcome of the Referendum in the UK with its vote to leave the European Union, Diocese in Europe clergy have been offering media comment on how the decision may affect Christians in the diocese. Read more on the diocesan website. St Thomas Becket Church invites you to an evening of music and dance on Saturday, 2 July 2016 at 6pm. Entrance is free, donations in support of the church welcome. On 8 July at 7.30 pm Stefanie Hempel will be treating us to an evening with the Beatles, a mixed bag of songs and stories. When she was only 10 she was already composing her own music – all love songs for John Lennon. For years she has been paying tribute to her love for the “greatest band of all time” with her Musical Beatles Tour in Hamburg. Entrance is free – donations are welcome and will benefit the English Church. You can find out more about Stefanie on her website. We are delighted to announce the appointment of the Revd Canon Dr Leslie Nathaniel to be the new Chaplain of St Thomas Becket Church. He is expected to arrive in Hamburg in mid-September. Father Leslie is currently the Archbishop of Canterbury’s International Ecumenical Secretary and European Secretary of the Council for Christian Unity. 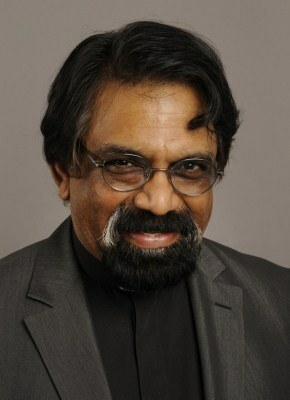 Born and brought up in South India, he has previously lived and worked in Germany, and is married to a German priest. Father’s Leslie’s own experience of crossing cultural boundaries will resonate with many of us.